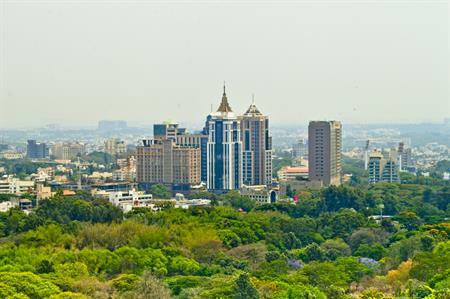 Conrad Hotels & Resorts has opened the new property in Bengaluru's city centre. Featuring 285 guest rooms including 21 suites, Conrad Bengaluru offers five dining and bar experiences, a full-service spa and salon, event space, a 24-hour fitness centre and an outdoor temperature–controlled infinity pool overlooking the city. The hotel has 17,000 square feet of space including a 7,610-square-feet Grand Ballroom, a junior ballroom, six meeting rooms and a boardroom. The meetings and events spaces feature private conference facility entrance, generous pre-function areas and state-of-the-art technology.